If we were to compile a survey covering the most desired jobs in the legal cannabusiness, master grower would surely be on the list every time. It’s also one of the best marijuana jobs for college educated folks. Of course, this position involves the most hands-on relationship with cannabis and involves directly facilitating the successful cultivation of cannabis to be processed and sold in dispensaries. When it comes to how much do master growers make, amounts vary based on the size of the operation. However, some master growers make salaries and bonuses that put them well into six figure territory and position them as leading members of the industry. 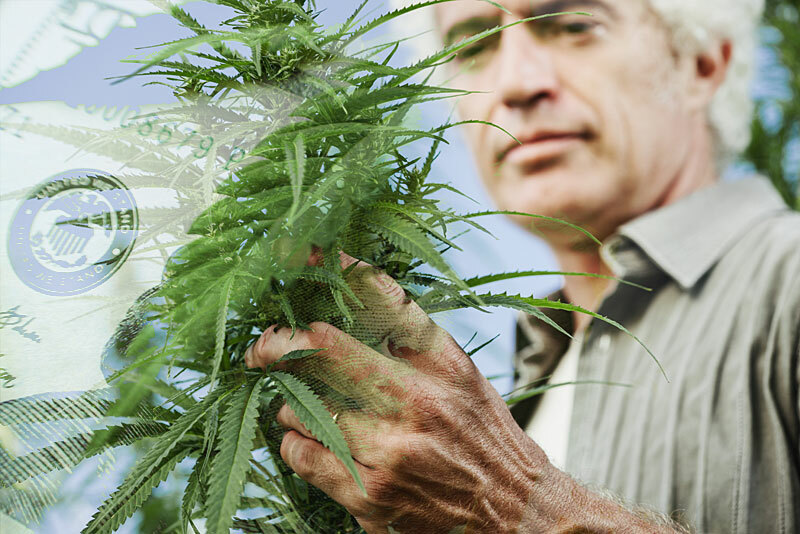 Master Grower isn’t a title that just any cannabis cultivator can flaunt in good conscience. Industry professionals know that this term applies only to those with years of success cultivation on a professional level. It also usually means they are confident in designing the format of the grow operation (hydroponic/outdoor) and leading a team in plant maintenance. Cannabis sativa L. has been selectively bred for years to retain certain qualities and lose others. When referring to cannabis cultivation resulting in the sale of high-THC products to consumers, the goal is to optimize cannabinoid concentration in the flowers. Cannabis flowers from feminized, unfertilized plants contain trichomes–resinous glands, which secrete cannabinoids THC and CBD, as well as terpenes. In order to grow cannabis effectively, master growers use their knowledge to devise methods for hydroponic or traditional soil methods of cultivation. In either case, growers are responsible for making sure that seeds are properly germinated, transported, fed and given adequate nutrition. As plants get older, growers must make sure to keep the crop safe from pests and bacteria, while growing it under the most optimal environmental conditions possible. Once matured, growers must decide whether or not they are going to flush the plants and when is the optimal time to harvest. When considering how much do master growers make, it’s important to realize that the job involves a lot of personal commitment to the operation and high stress. The success or lack thereof of a crop primarily rests on the shoulders of the master grower, making it one of the most high-pressure careers in the industry. What Strains of Cannabis Exist? There are innumerable cannabis strains bred by many different breeders across the country and world. However, cannabis strains are firstly categorized into three strains: Indica, Sativa and Hybrid. Indicas are known to produce pleasant effects of sedation and calm. On a medical level, they are successful in treating pain and nausea. They are best consumed at night or when trying to relax. On a structural level, indicas grow bushier and shorter than sativas and maintain broader leaves. Sativas are strains that make consumers feel uplifted, creative and energetic. This strain is best for daytime smoking and socializing with others as it is prone to cause anxiety in some individuals. Sativas grow tall and have thinner, pointier leaves. The longer a sativa plant is left after optimal harvest time, it will start to adopt indica dominant traits. As the name suggests, hybrids are breeds that have qualities of both sativas and indicas. For this reason, they are very popular among recreational consumers looking for a mediated psychotropic experience. Growers do their best to optimize levels of THC and/or CBD, depending on the strain. THC, known formally as Tetrahydrocannabinol is the most abundant and primary psychoactive cannabinoid secreted in cannabis flowers. CBD on the other hand, is a cannabinoid with no psychoactive effects but myriad health benefits for pain, anxiety and more. Cannabinoids bind to receptors in the human endocannabinoid system. These receptors (CB-1 and CB-2) are associated with feelings of mood, pain and memory. Terpenes are aromatic compounds that act as a natural defense system for cannabis plants by warding off pests, but encouraging pollinators. Terpenes also have individual health benefits and have been proven to enhance the effects of THC and CBD. On the whole, salaries for marijuana growing jobs are hard to pin down as they reflect different levels of authority, experience and thusly, responsibilities. Master growers who are experienced and have steady partnerships can earn salaries up to $120,000 and above. This of course all depends on how much do master growers make in some states vs. others. There are many paths one can take to become a master grower, though all of them involve a dedicated practice of cultivating cannabis. Some growers have advanced degrees in horticulture or agriculture, while others worked their way up the ranks in the black market industry. In the newly legal growing industry, there are new pathways appearing making becoming a master grower a more accessible career path. One way that more industry hopefuls are gaining experience is by starting out as a trimmer. Trimmers also work a very hands-on job, but at a different point in the cannabis cultivation process. Trimmers take harvested cannabis flowers and snip away sugar and fan leaves with sharp scissors. This manicuring of buds is in effort to optimize THC content and reduce the harsh smoke and chlorophyll content in smokable flowers. Trimming is notorious for being a mundane job, but many feel that it is rewarding in unique ways. In addition to being meditative, marijuana trimming jobs allow workers to get up close and personal with cannabis, learning about its many parts and behaviors. Additionally, trimming is one of the better paying entry level marijuana jobs with hourly wages averaging between $12-15. Another avenue employed by most master growers is beginning as a grow assistant. Grow assistants have less responsibility than their supervisors; if you’re wondering how much do master growers make in comparison to assistants, the gap can be significant. However, working as an assistant does pay respectably and offers invaluable experience and credentials. Working as a grow assistant for several different operations can help to make a well rounded cultivator who observes and studies a variety of approaches. Budtending is largely a sales position, but it involves retaining a vast knowledge of cannabusiness information. Especially for those in cities or without close access to grow operations, working marijuana dispensary jobs can be a great place to start your journey. Some dispensaries require budtenders to trim buds and fill pre-roll joints, so employees do experience some direct contact with flower, though less so than trimmers or grow assistants. Working as a budtender is a great way to establish connections and gain experience in the legal industry. For those looking to gain experience cultivating cannabis, marijuana education and job training services are abounding online and in classrooms. Sites, such as THC University offer a variety of courses online to bring students up to speed on the essentials of growing and working in the industry. Other programs employ traditional classroom teaching environment, where students visit grow operations and interact in person with professors. Many of these training programs are also certification programs. While having a certification from a reputable service could very well help you land a job, the lack of education standards in the cannabusiness detracts from the credibility of a certificate. Just like learning any other skill or craft, there is always some reading to be done! Research famous master growers and their books or publications – these come with tips, tricks and descriptions for how to best grow cannabis. The more time you spend researching and reading credible sources, the more prepared you will be when working in a grow operation. Thanks to increasing cannabis legalization across America, more job sites are posting jobs for master growers. In fact, searching for master grower jobs is as easy (or hard) as searching for jobs not in the cannabis industry. As the industry matures, more niche cannabis jobs sites are answering a request for better job sites aimed at those looking for jobs specifically in the cannabis industry. Why is the Master Grower Important? If you remove all the rhetoric and connotations surrounding the title “master grower” you might think: what does this position actually mean for the industry? Master growers are more than just leaders, they influence the continuation of good cultivation practices and positive results. As the cannabis industry becomes further standardized, farms and grow-ops will increasingly employ master growers to ensure the utmost consistency and transparency in their work. If cannabis consumers hope to continue to purchase high quality, thoroughly tested flower, master growers will be necessary to maintain the precedent they worked tirelessly to establish. So to answer this question one more time, how much do master growers make, salary will always be dependant on a multitude of factors, many of those which have been discussed in this article.